Looking to rent a construction class excavator, Komatsu – PC 290 LC-10 , in Rochester NY, Ithaca NY and Western New York? Features industry leading boom and arm design. Advanced engine and hydraulic pump control technology. 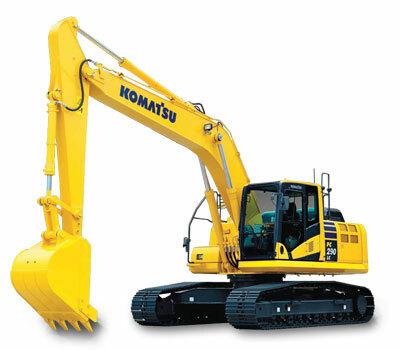 Proprietary Komatsu Closed Center Load Sensing Hydraulic System. Exceptionally large LCD color monitor panel. Horse power (net) = 196 hp. Engine = exceptionally powerful Komatsu SAA6D107E-2. Bucket Capacity = .76-2.13 cubic yards. Digging Depth = 23 feet, 8 inches. Maximum Reach = 35 feet, 9 inches.